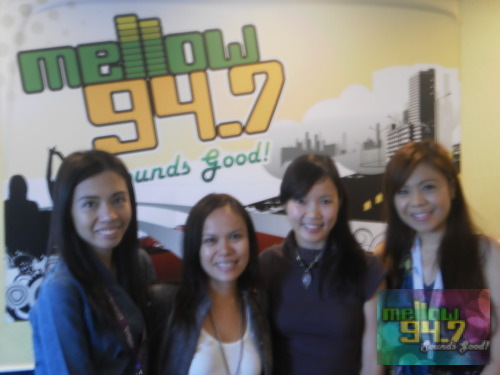 The sassy ladies of Writers Block Philippines swung by Office Radio to invite listeners to their workshop called FEATURE WRITING 101: The basics of writing to get published. 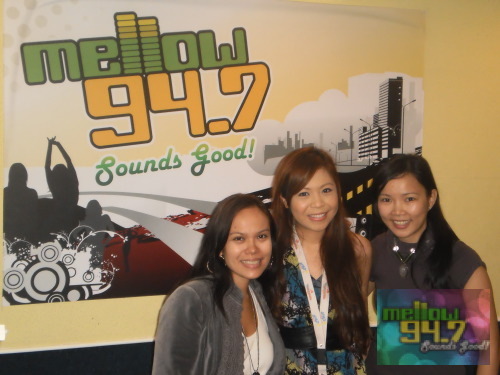 I’ve attended previous workshops offered by Writers Block and I’ve learned so much from Ana, Nikka and Nina. 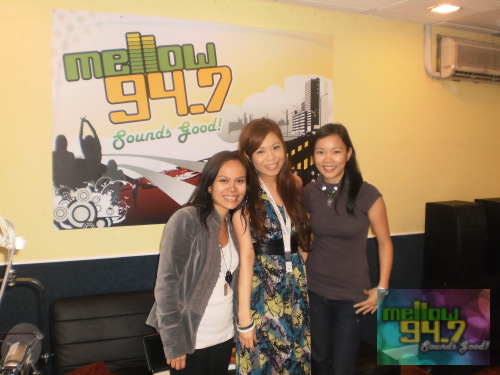 These three girls work in different environments but they’ve come together after discovering their passion for writing and their desire to share their knowledge with other people. 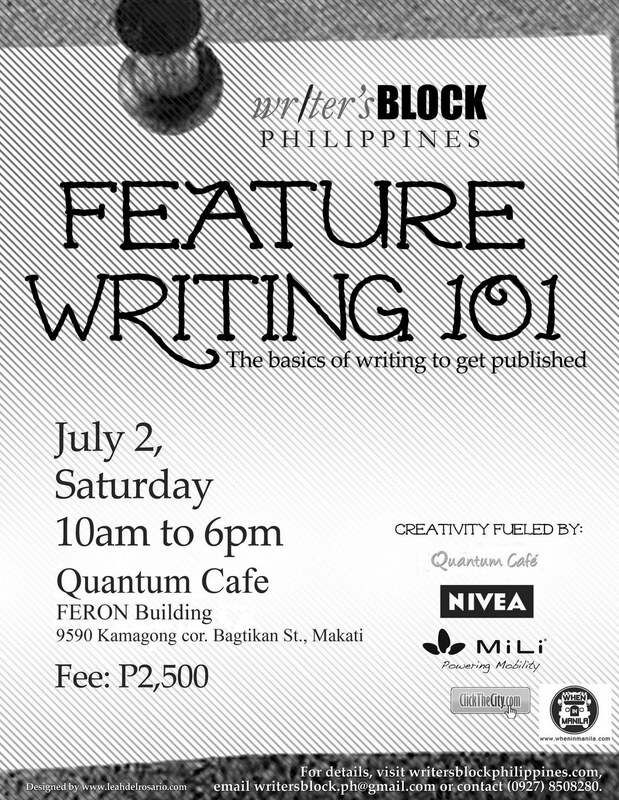 With Feature Writing 101 as their 7th workshop offering, attendees will be taught how to find a good story angle, how to ask the right questions, writing techniques and rituals and so much more. Ana Santos will share her knowledge on how she gets to do interviews and write features for her sexual health advocacy, Nikka Sarthou will tell you how she gets to enjoy food and write about it, and Niña Terol-Zialcita will excite you with her travel stories. 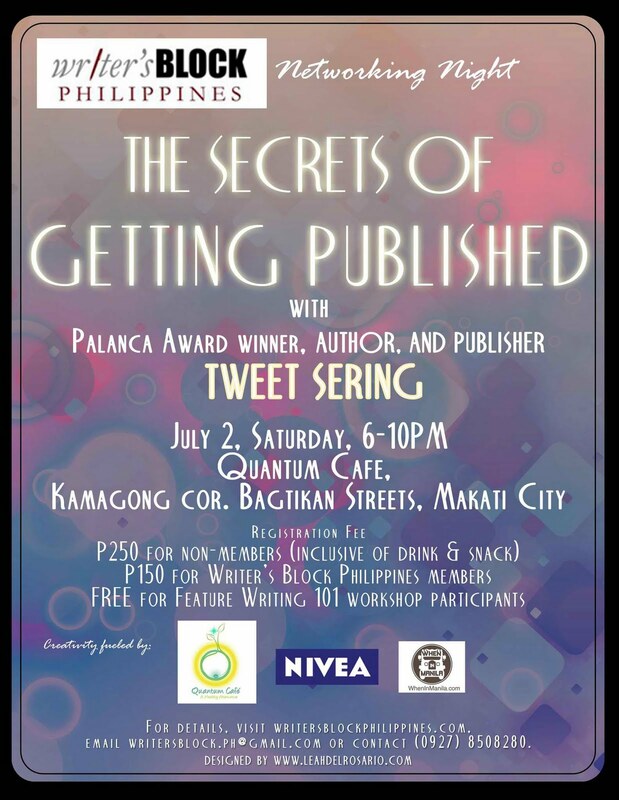 Also happening after the workshop is the Writers Block Networking Night featuring Tweet Sering, a Palanca awardee, author and publisher who will talk about the secrets of getting published.